Why are there genes for addiction? We all have the genetic predisposition for addiction because there is an evolutionary advantage to that. When an animal eats a certain food that it likes, there is an advantage to associating pleasure with that food so that the animal will look for that food in the future. In other words the potential for addiction is hardwired into our brain. Everyone has eaten too much of their favorite food even though they knew it wasn’t good for them. Repeatedly abusing drugs or alcohol permanently rewires your brain. If you start out with a low genetic predisposition for addiction, you can still end up with an addiction. If you repeatedly abuse drugs or alcohol because of poor coping skills, then you’ll permanently rewire your brain. Every time you abuse alcohol, you’ll strengthen the wiring associated with drinking, and you’ll chase that buzz even more. The more you chase the effect of alcohol, the greater your chance of eventually developing an addiction. Most people don’t know their family history of addiction very well. Addiction is not the sort of thing that most families talk about. Not too long ago you could have a raging alcoholic in your family and nobody would talk about it. Or they would make some quaint remark like, “Oh he drinks a little too much.” There was so little people could do about addiction before that there was no point in talking about it. But now that you can do something about addiction, a family history is worth talking about. Once you stop using and tell your family that you’re in recovery, that’s often when they will tell you about the family secrets. That’s when family members will sometimes come out of the closet and tell you their stories. Let your coping skills be the legacy you pass on to your children. Don’t let your genes be the only legacy you pass on to your children. Your children are more likely to have an addiction because of your addiction. But their genes don’t have to be their destiny. You can help your children lead happy lives by teaching them healthy coping skills – by being an example with your recovery. Addiction is like most major diseases. Consider heart disease, the leading cause of death in the developed world. It’s partly due to genes and partly due to poor life style choices such as bad diet, lack of exercise, and smoking. The same is true for other common diseases like adult-onset diabetes. Many forms of cancers are due to a combination of genes and life style. But if your doctor said that you had diabetes or heart disease, you wouldn’t think you were bad person. You would think, “What can I do to overcome this disease?” That is how you should approach addiction. Addiction is not a weakness. The fact that addiction crosses all socio-economic boundaries confirms that addiction is a disease. People who don’t know about addiction will tell you that you just need to be stronger to control your use. But if that was true then only unsuccessful people or unmotivated people would have an addiction, and yet 10% of high-functioning executives have an addiction. If you think of addiction as a weakness, you’ll paint yourself into a corner that you can’t get out of. You’ll focus on being stronger and trying to control your use, instead of treating addiction like a disease and focusing on stopping your use. 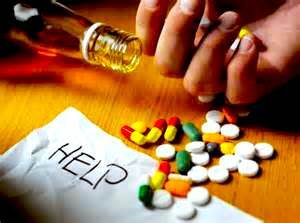 You can become addicted to any drug, if you have a family history of addiction. If at least one of your family members is addicted to alcohol, you have a greater chance of developing an addiction to any other drug. Cross addiction occurs because all addictions work in the same part of the brain. If your brain is wired so that you’re predisposed to one addiction, then you’re predisposed to all addictions. This is especially important for women who may come from alcoholic families, but who often develop addictions that go undetected, like addictions to tranquilizers, pain relievers, or eating disorders. One addiction can lead to other addictions, and one drug can make you relapse on another drug. That’s one of the consequences of a brain that’s wired for addiction. Suppose you’re addicted to cocaine. If you want to stop using cocaine then you have to stop using all addictive drugs including alcohol and marijuana. You may never have had a problem with either of them, but if you continue to use alcohol or marijuana, even casually, they’ll eventually lead you back to your drug of choice. Recovery requires total abstinence. All addictions work in the same part of the brain. Addiction is addiction is addiction. Therefore one drug can lead you back to any other drug. Even moderate drinking or smoking marijuana lowers your inhibitions, which makes it harder for you to make the right choices. If you stop using your drug of choice but continue to use alcohol or marijuana, you’re saying that you don’t want to learn new coping skills and that you don’t want to change your life. You’re saying that you want to continue to rely on drugs or alcohol to escape, relax, and reward yourself. But if you don’t learn those new skills, then you won’t have changed, and your addiction will catch up with you all over again. I’ve heard the role of genes in addiction placed as high as 60%, the role of allergies, hypoglycemia and other chemical imbalances (which can have to do with childhood diet and environmental factors) named as the biggest factor, and the role of PTSD as up to 75%. Then again, I’ve heard others say that personal choices are 100% of the problem. The different rates of addiction at different times in modern history suggests that social factors — drug availability, social instability, economic instability, social acceptance of addictive risks — may be over 50%. This adds up to much more than 100%, of course. But crunching these numbers I can make a wild, semi-educated guess that personal choices are about 26% of the origin of addiction, genetics are 16%, PTSD is 19%, allergies and other preexisting medical conditions are 26%, and social factors are 13%.